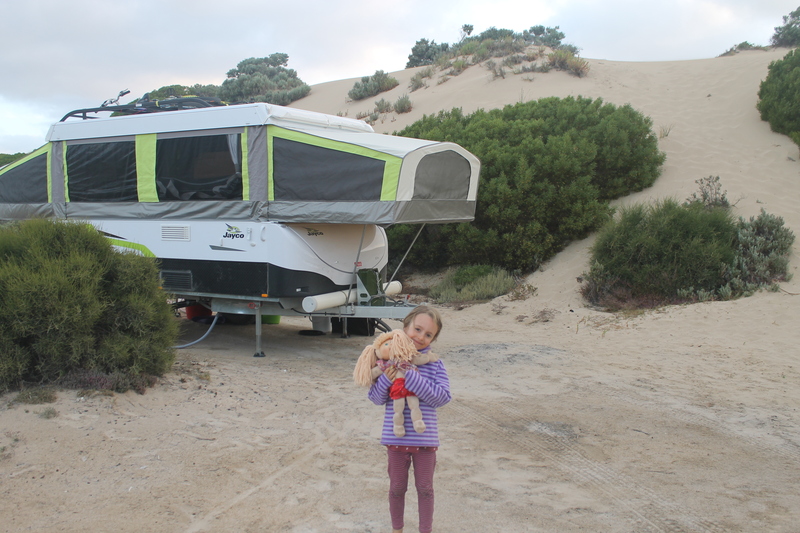 We have taken our kids out of school for a year to fulfil our dream of travelling around this beautiful country of ours in a camper. In our state of South Australia, it is really easy to get an exemption signed by the principal of the school your kids attend to take a year off. When we return the kids will start the next year of school. They don’t need to take any tests and we don’t have to get any school work checked. 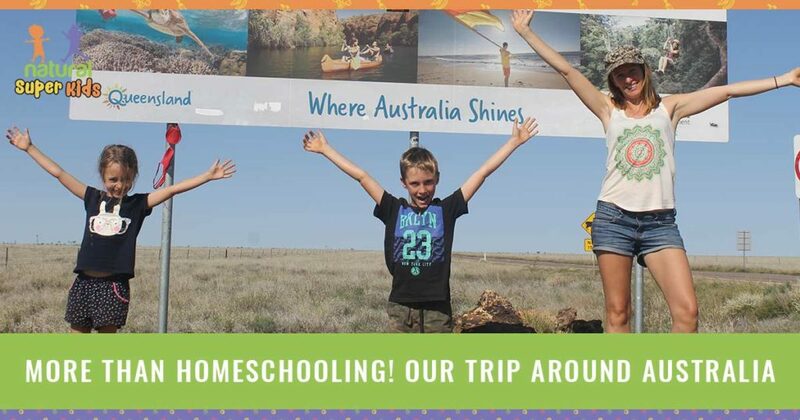 We have chosen to do a little homeschooling with them and spend an hour or two most weekdays doing some reading, spelling, grammar and maths using workbooks that follow the curriculum. At first, this was really challenging. You can read about that here but we have now developed a good routine with it and it is generally pretty enjoyable for all of us. This trip hasn’t been all smooth sailing. Although I do try and keep it real we generally share the highlights. The gorgeous scenery, the pictures of us in the great outdoors, the amazing experiences we are having. What you don’t see is the long car trips, the tension that builds between us from being together 24/7, the dusty roadside stops, the emotional breakdowns, the arguments, the money worries, the harsh elements. We are not living it up in luxury and it can be harsh sometimes. 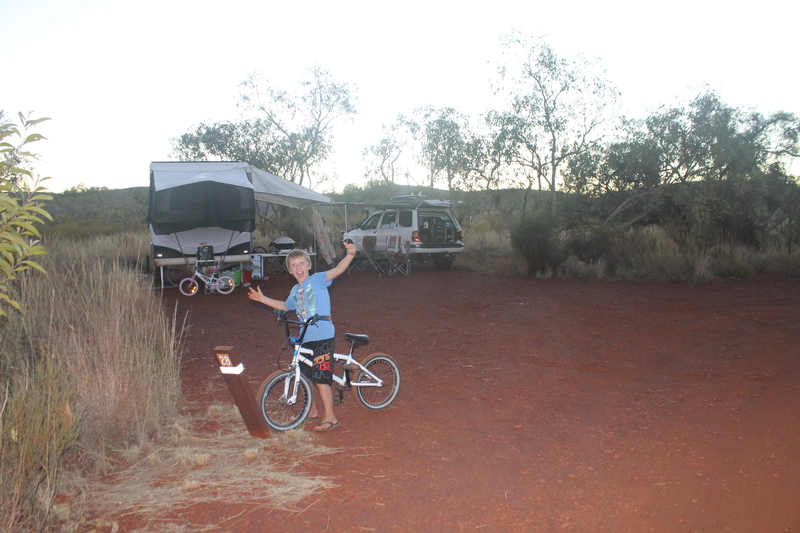 In Exmouth we were camping in 50km/hour winds and we felt like the roof of the camper was going to blow off but the next morning the winds dropped off and we had a picture perfect day in one of the most spectacular places on our trip so far. Life has its ups and downs but when you are traveling these ups and downs seem to be on steroids! The downs are really stressful and the ups are life changing! A trying day or challenging experience is always followed by something amazing. This trip is showing them that you have to work hard if you want to accomplish something. It’s showing them that following your dreams isn’t easy but it’s worth it. 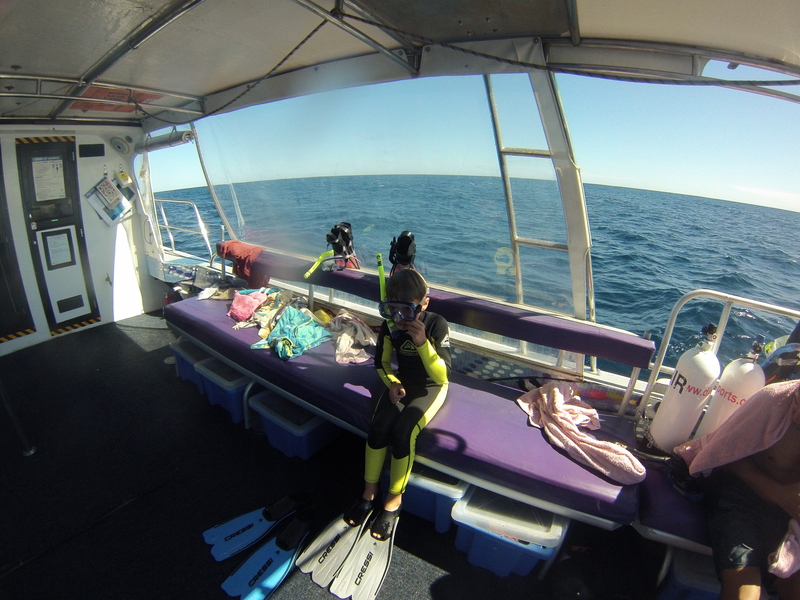 Miss 6 is not as confident in the water and started off hating her snorkelling mask, feeling like she couldn’t breathe but slowly became more comfortable with it and even came out into the deeper water with us a few times. Watching her push past her fear so she could experience the things we were describing under the sea was beautiful. She wasn’t comfortable but did it anyway and was rewarded when a school of hundreds of colourful fish swam all around her. Going out on the boat for the whale sharks you could see the worry on her face. She got a tummy ache, which often happens when she is feeling anxious. We went for a practice snorkel. The water was deep, we were kilometres from the shore. She got up the nerve to jump in but started crying straight away so we got her back on the boat and didn’t push it. Later on, when we got out to the open ocean she refused to get in again. It was pretty gutsy. The boat drops you right in front of the whale shark so when you put your mask in you see a huge whale shark coming towards you. She stayed on the boat and watched the whale shark, that was enough for her! Hubby and I took it in turns to jump in and Mr 8 jumped in at every chance he got. He loved it. Later I asked him if he was scared and he said he was the first time but once he did it once he was fine. Although Miss 6 didn’t swim with the whale sharks she did jump back into the calmer deep water for a snorkel that afternoon and loved it. That was enough for her! 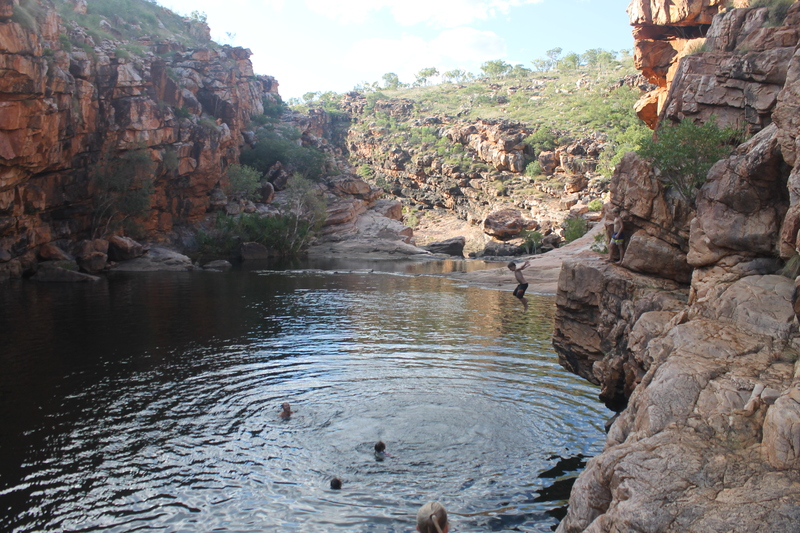 When we were in the Kimberly we had one of the most memorable days of our trip when we bumped into 5 other travelling families that we had met along the way at a gorgeous place called Bells Gorge. A couple of the other kids started jumping off high rocks into the water. Mr 8 went up to have a go but couldn’t do it! We is usually one of the more adventurous kids but this was too high for him. He was really upset and felt like he was left out. I talked him into giving it a go if I did it – eeek!! So we went up there, I jumped but he still couldn’t do it. The other kids were encouraging him and he stood up there for a really long time before finally jumping! He was so proud of himself! These are just a couple of the many examples of the kids facing their fears on our adventure. There have been countless others, some big, others small and each time they have experienced how doing something out of your comfort zone usually leads to experiencing something magical. When we left home Miss 5 (at the time) was a reserved, shy and quiet little girl. She wouldn’t even speak to some of our closest adult friends and she took a long time to warm up to new people. Whenever anyone asked her what her name was she would look straight at me to answer for her. She is a real homebody and was really sad to leave home, her friends, family and our dog (who is being cared for by some friends). She really struggled initially, suffering from sore tummies and acting very withdrawn often. I questioned whether this trip was a good thing for her every day for the first couple of months. But we travelled on and I am so glad we did. She now plays easily with new kids, is much more confident and even joins in conversation with adults! 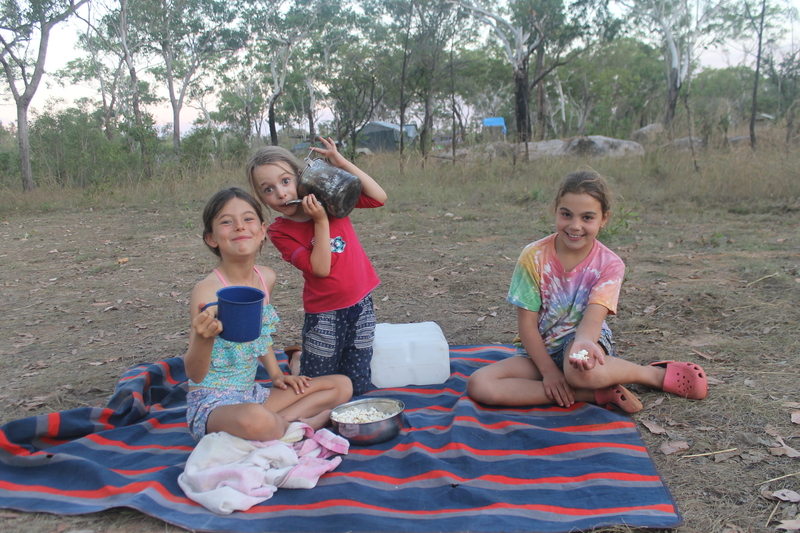 She even made friends with a group of campers next to us who were in their late 20s and joined them around their campfire, sharing stories and chatting happily to them. It is so heartwarming to see both the kids now telling other travellers where we have been and the details of our travels. They have made so many new friends and each one has influenced them in some way. They are not only learning about their own country and the different kinds of people who live in it but they are coming in contact with dozens of travellers from other countries too and learning how to communicate with them when there is the barrier of language. 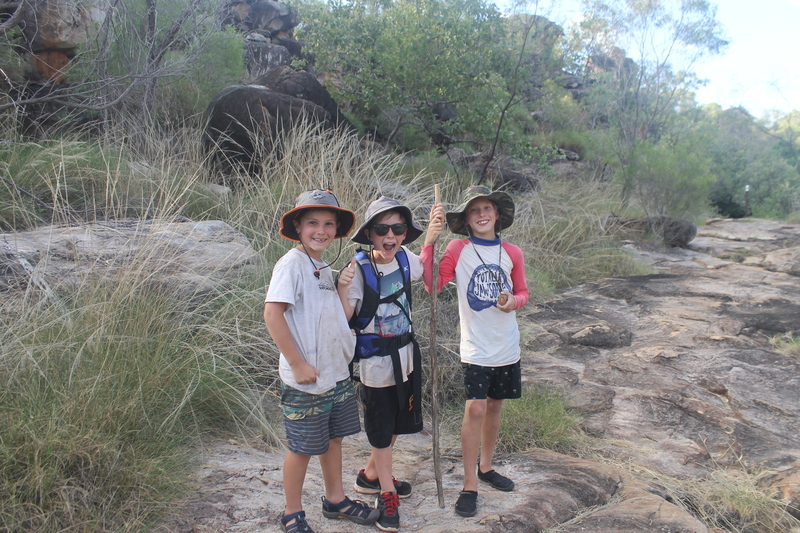 Swimming in secluded waterholes, hiking through forests, bug catching, cane toad hunting, beachcombing, surfing, rock climbing, snorkelling, fishing and lizard chasing are just some of the nature activities we do regularly! This trip has made me realise just how disconnected from nature we are in our modern day lives. Even though we are an active, outdoorsy family when we are home the majority of our time is spent indoors. We travel in a small camper so spend most of our time outside, we experience the natural world come alive at dawn, we watch the sun set, we star gaze, we watch the moon change, we feel the wind in our hair and the sun on our skin. We didn’t bring many toys with us, we have some board games, colouring pencils and paper. My daughter has a doll, her sleeping teddy and a few little trinkets. My son has his bike, surfboard and skateboard. It is so interesting to watch them play. Mr 8 makes jumps and tracks in the dirt for his bike, builds sand city’s on the beach and wrestles in the water with whoever is keen! Miss 6 is much more into imaginative play – dead palm fronds become horses that she rides around on, sticks become babies and pets, leaves become money for her shop, we build fairy houses together making sure there is somewhere cosy for them to sleep. We have met countless grey nomads on the road that assure us that we are doing the best thing for our family. Modern family life has become crazy busy. Between both parents working, school, kids activities and social engagements, there isn’t much time left to enjoy each other. We work for things to make life easier and more enjoyable – a big house, 2 cars, eating out, T.V.s, phones, computers, toys, games and wine at the end of the week so we can relax! We enroll our kids in too many activities because we want to give the best opportunities. We create a life of busyness and material possessions, a life where we are literally living on the edge of a breakdown because we can’t keep up. Travelling was our way to break this kind of lifestyle for our family. To give our kids less stuff, more experiences and plenty of quality time together. By no means is this lifestyle stress-free but it helps us to disconnect from the busyness and connect with each other in a more meaningful way. The challenge is going to be to keep it up when we get back to our ‘normal lives’ in 5 months. Have you travelled with your kids? I would love to hear about your adventures. Let me know in the comments. Would you like to travel more with your kids? What’s stopping you? Let me know in the comments. Thank you so much for this post! My hubby, 4 kids and I are taking off at the end of next year for around 2½ years and we can’t wait! I’ve had my worries from time to time about if it’s the right thing to do but really truly this post has quelled those fears. I know there will be challenges, I know it won’t be stress free but it will be awesome! You won’t look back Nomie. Try not to worry, everything will fall into place and life on the road is simply awesome! Great read and very inspiring! We are planning to leave December for a big lap – 2 adults and 2 kids aged 6and 8. Your article has given me more courage and excitement – thank you! 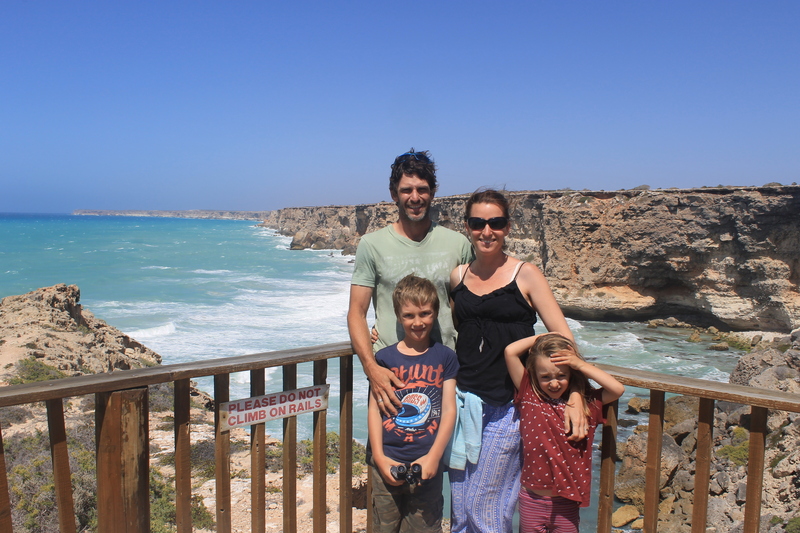 We travelled for 3 months in 2014 with our 3 kids and are planning a 6 month trip next year. The children will be 10 & 7 (twins) and our school had been very supportive of our plans. This article makes me want to leave now!! Thanks for the inspiration. Couldn’t agree more. Well said! I concur with you on every point! This experience is irreplaceable. These memories will last a lifetime! Well said, it is great fun and there is no luck about heading away. It takes the courage to make the decision to go and some good planning. Anyone can do it and should. We had 9 months on the road in 2015 and our boys 10 & 11 loved it. It can be hard being with each other 24/7 but now I miss that time together. We are busy with work and school. But I am so proud of both our boys and how much they have grown and learnt. I am also proud we did this trip as a couple. It’s great for kids and adults too! I had so many wonderful experiences and epiphany moments. I feel enlightened about our true Australian history and can’t wait to go back on the road. Oh I would love this for our family! Before we had kids my husband and I talked about doing a big long trip on the road but it never happened, now it just feels “too hard” to get away. Can I ask the boring questions? What have you done with your home, rented it? Are you still paying a mortgage? And your work an obviously travel with you but what about your husbands? Are you taking leave without pay? Did he quit? Long service leave? Did you save huge amounts of money before going? I’m wondering how you make it financially viable other than living frugally and simply. Thanks for sharing it’s inspirational! I hope one day this can be something we can do as a family too. So beautifully written. We did 3 months around Oz last year and a year later I still yearn for the sound of the waves through the canvas whilst I fall asleep, or to hear the birds chatter at dawn or look at ALL THOSE STARS which we barely see living in a big city. 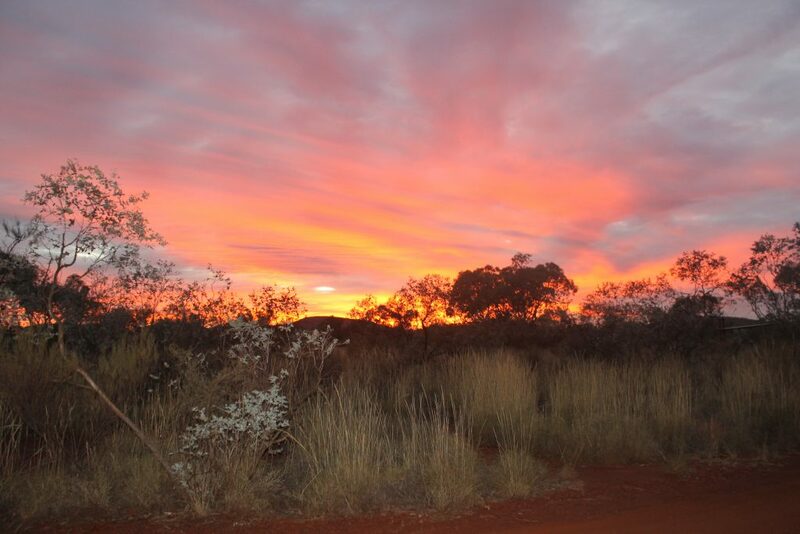 The outback is like a drug. Once you experience it you are hooked for life. Our 9 yo daughter loved her experience and it hasn’t affected her school results at all. In fact the teacher told us the other day she is very worldly. We definitely want to experience it again before she finishes primary school. The sooner the better. Be warned: It is very hard to resume the routines of life at home once you’ve had such an incredible experience. You are forever changed. I can imagine Susie. It will be quite an adjustment! We travelled overseas for 4 1/2 years pre-kids and it was a big adjustment settling in back at home!